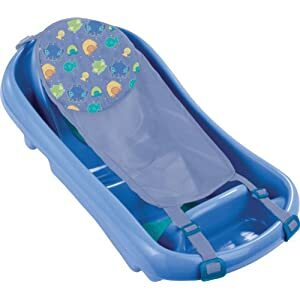 The First Year's Infant to Toddler bathtub with the bath sling is just $12.99 on Amazon right now. That's 41% off the list price of $22. I believe the “real” price on this is closer to $18 or $19 at Target, but it's still a fabulous price for this tried-and-true baby bathtub. We used this bathtub for both Haiden and Piper until they were both just over a year old. At $12.99 it's a great buy!